The Scouts Troop meets at the Cathedral School Hall, Chelmsford. Our meeting runs from 7.45pm to 9.15pm once a week on Thursdays. 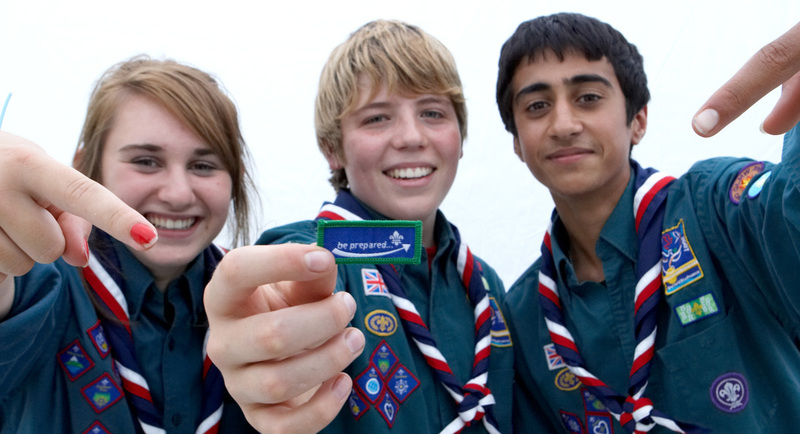 Scouts should also attend five church parades a year, and have the opportunity for numerous nights away and days out. They should also attend the District parade for St George's Day. Our aim at the 6th Chelmsford is to have fun, make friends and experience a wide range of activities, both in and outdoors. Our weekly Thursday meetings usually work to developing key Scouting skills, gaining Challenge or Activity badges, playing games, and having fun. We aim to cover topics that meet the requirements for the eight challenge badges needed for a Scout to attain their Chief Scout's Gold Award by the time they leave to go to Explorers. We also plan numerous adventurous activities, overnight hikes, residential experiences, and camping trips. District events are an important part of the Scout calendar as this enables the Scout to meet other Scouts from the Chelmsford District. These include an annual swimming gala, pedal cart racing event, incident hikes and St Georges Day Parade. So if you think your child may enjoy these activities please contact your Scout Leader who will put their name on our waiting list.